Last Saturday my friends and I drove down to Sacramento to participate in our first 5k! 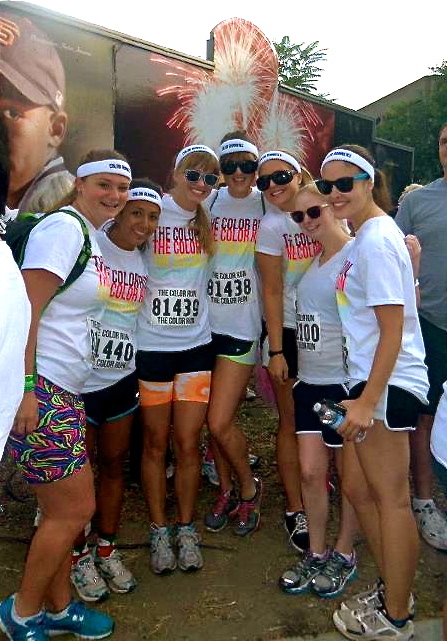 However, this 5k wasn't just an ordinary run, this was The Color Run! 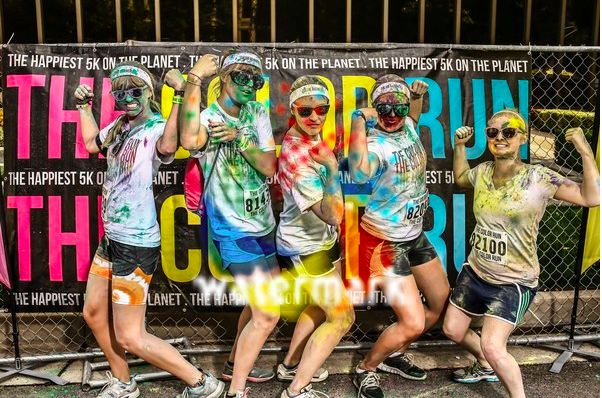 For those of you who aren't familiar with The Color Run, it's a 5k where you begin all squeaky clean wearing as much white as you can, and throughout each 1k volunteers throw different colors at runners to make them fun and colorful! By then end of the race, you're completely covered in various colors. It was so much fun! Each 1k had HUGE clouds of color to run through! To make everything even more crazy, everyone stood in a group and threw their own color packets into the air for one final color fest! 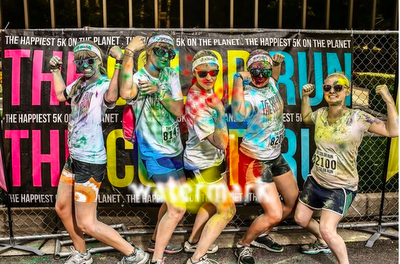 In the end, we were super crazy and colorful! After we finished the race, we had to wait for our ride to pick us up. We decided to walk down Old Sacramento and browse through some shops. I've been to this town many times for family gatherings and such, so I thought I was just going through the routine when we went into this quirky old fashioned movie souvenir shop. I went through the main entrance and found myself in a room in the back corner, FILLED with Disney photographs and drawings from floor to ceiling!!! I was in complete heaven!!! The one on the top left corner had each Pixar movie with a signature, I was curious to know the significance of the names on each movie! I know they weren't the directors, because Brad Bird wasn't on the section for The Incredibles. Needless to say, I was certainly tempted to bring home a picture! I hope you all have had an amazing and magical week! I apologize for my lack of activity. I've been quite busy lately enjoying as much free time as possible before classes start up again on August 20th! I'm getting really excited for September though, because that's when the Disney College Program application opens!! I can't wait to apply!!! 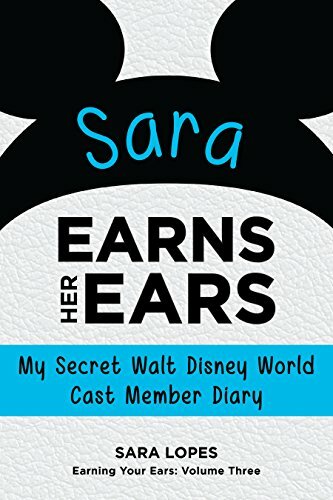 Want more fun Disney news and updates? Subscribe to The Disney Den now! Curious. 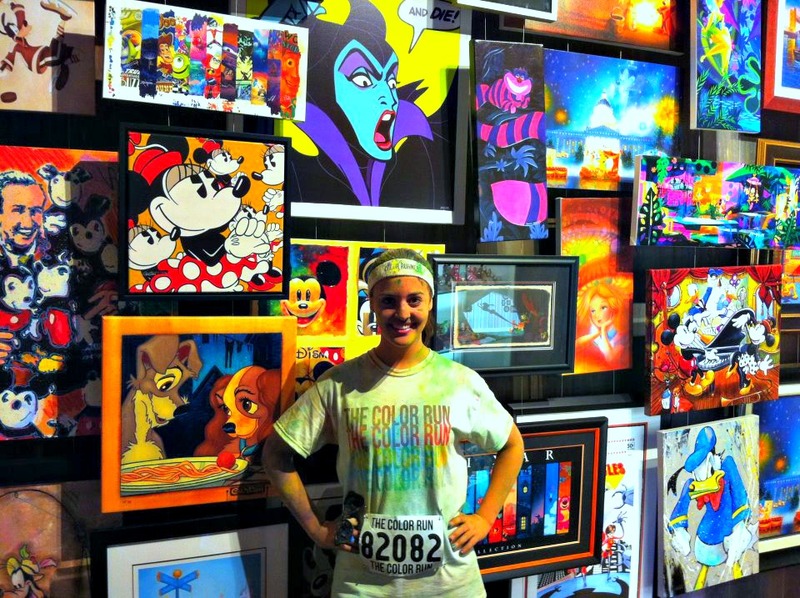 Are you hoping to do DCP at WDW or DL? WDW :) They have the marketing exploration seminar that I want to take.